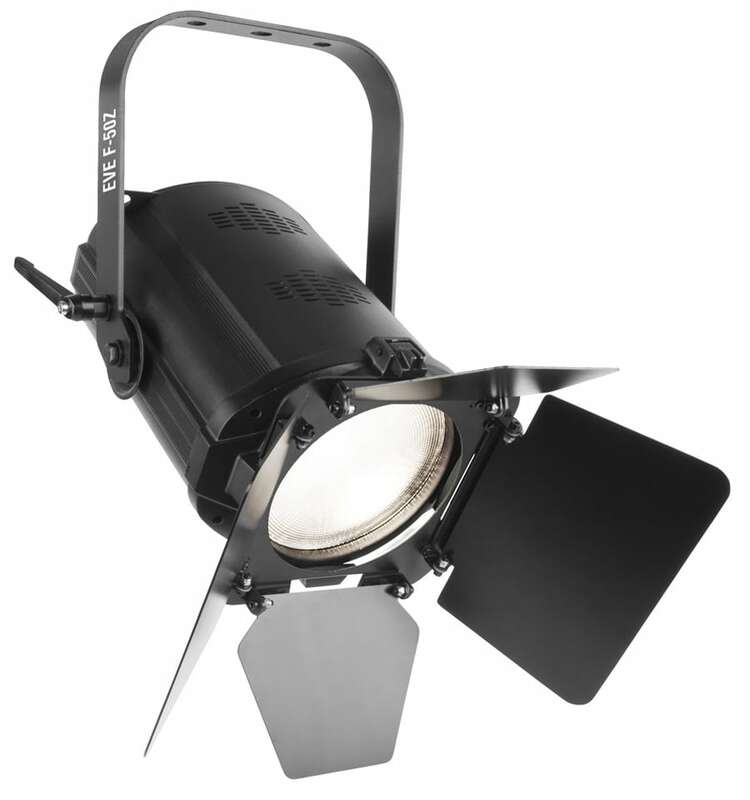 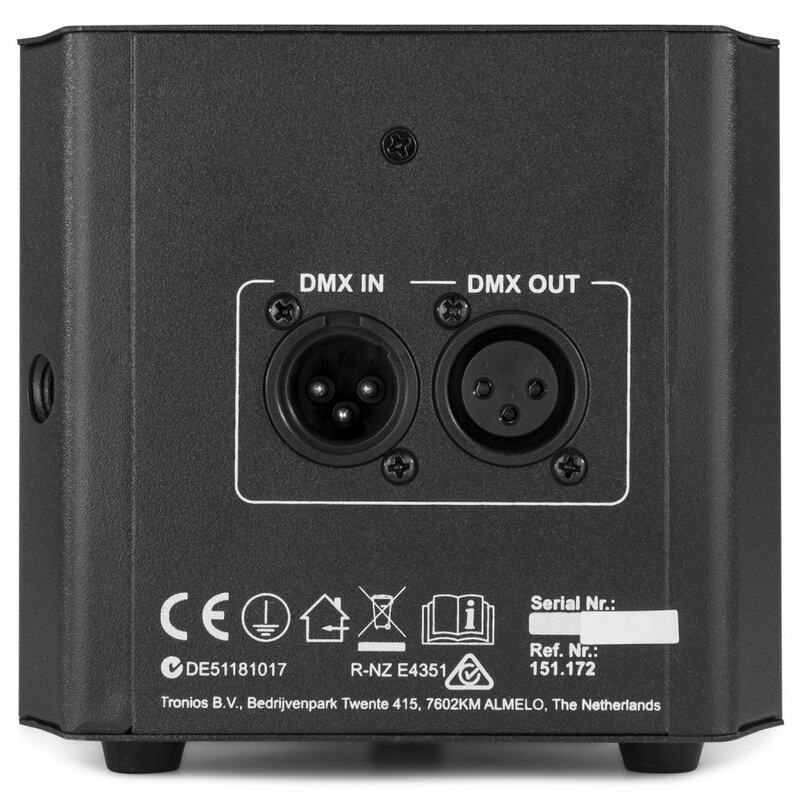 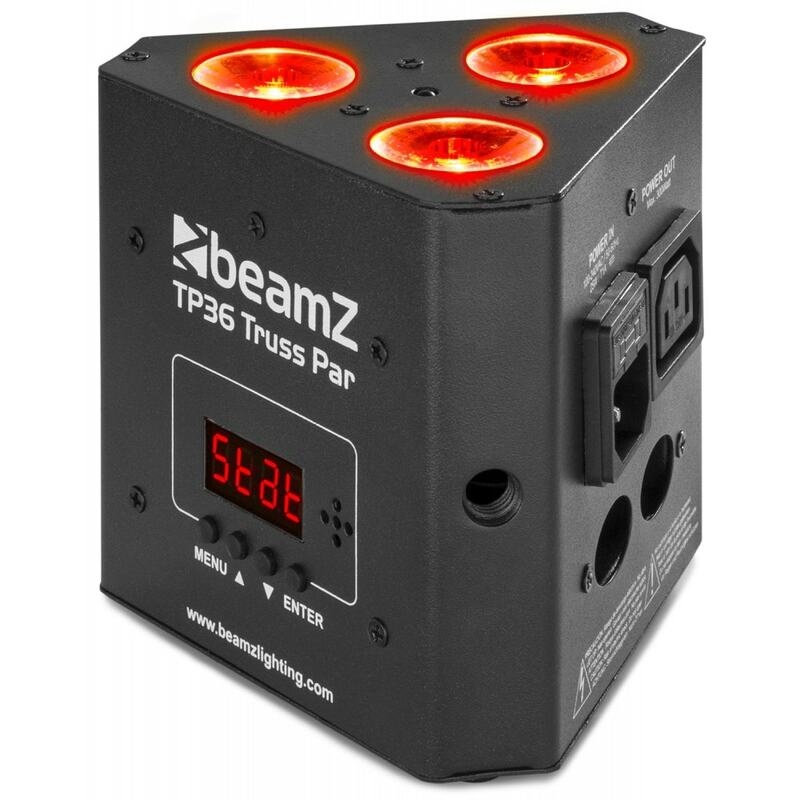 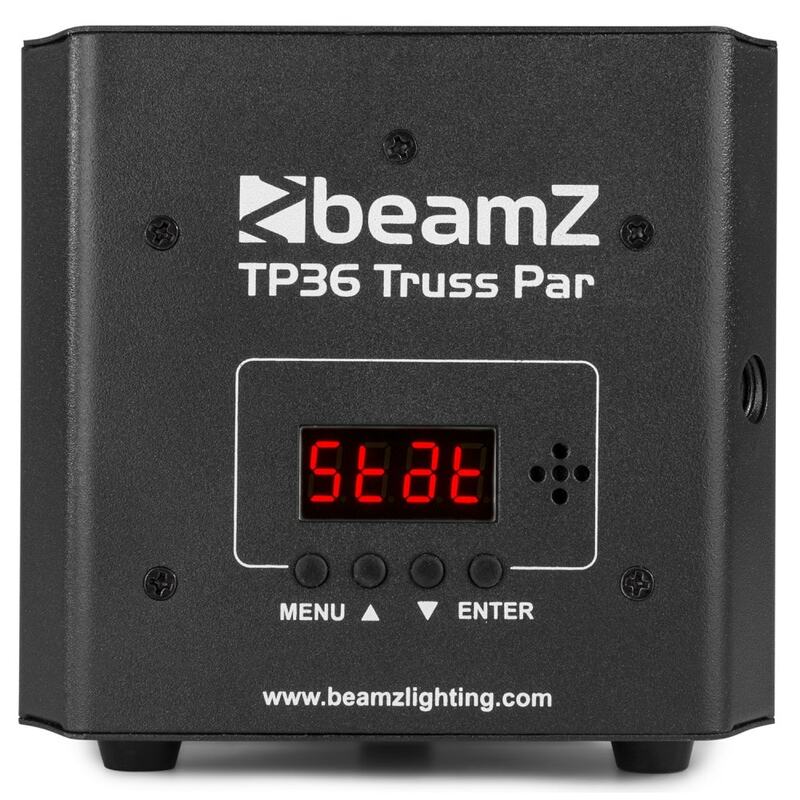 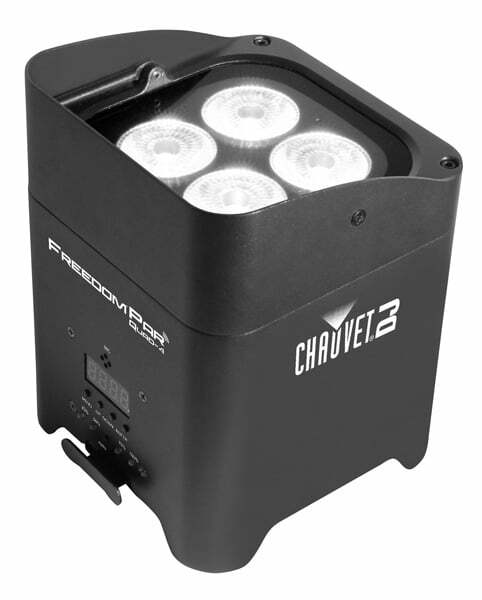 The Beamz TP36 is a compact par ideal for use in triangle TRUSS. 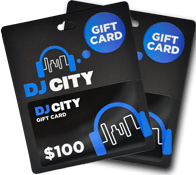 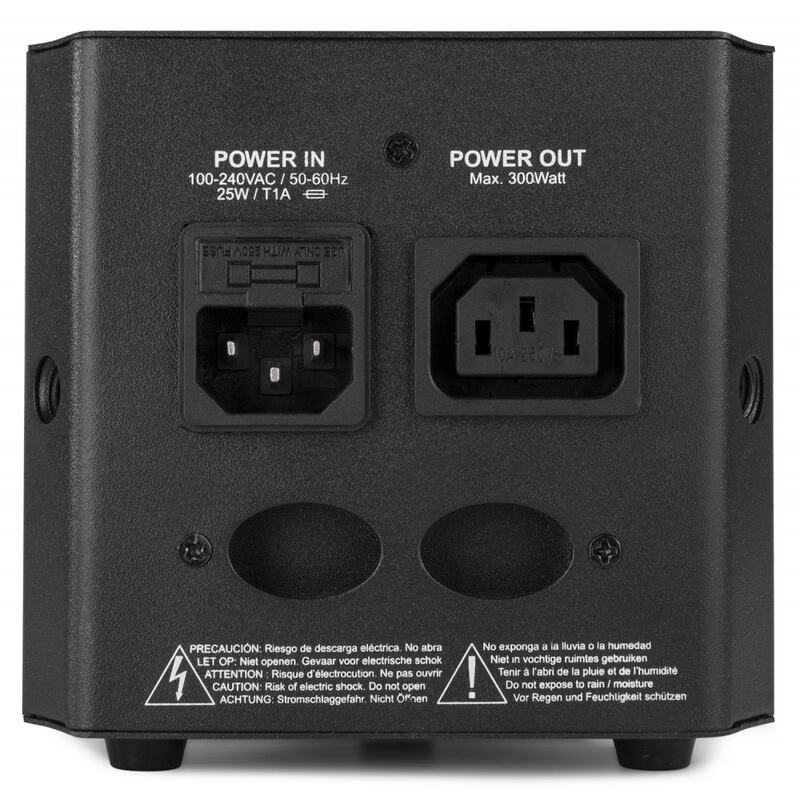 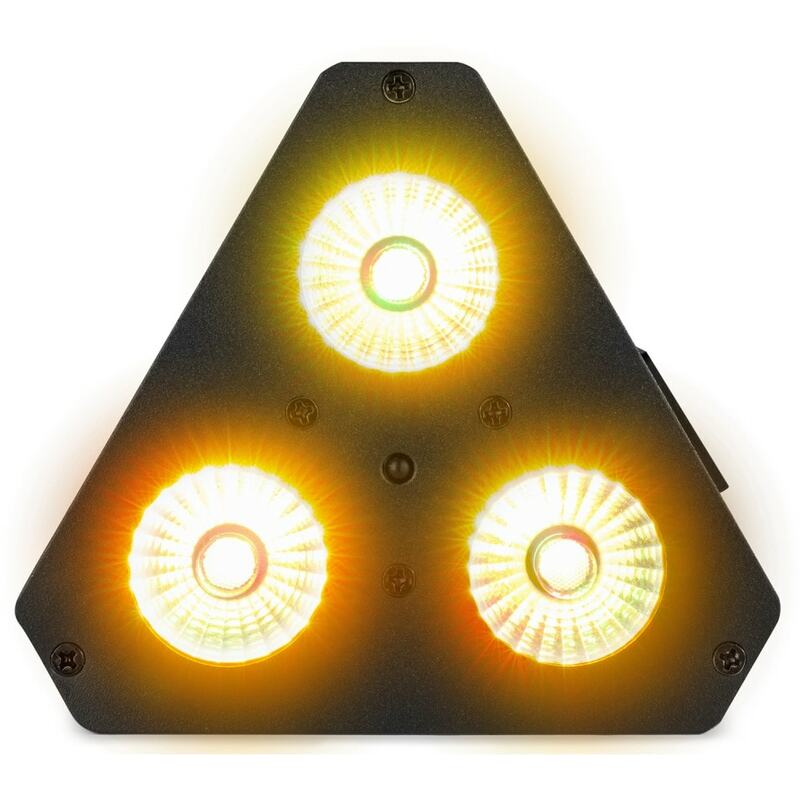 The perfect fixture for DJs, bands, and production companies wanting to light up their TRUSS. 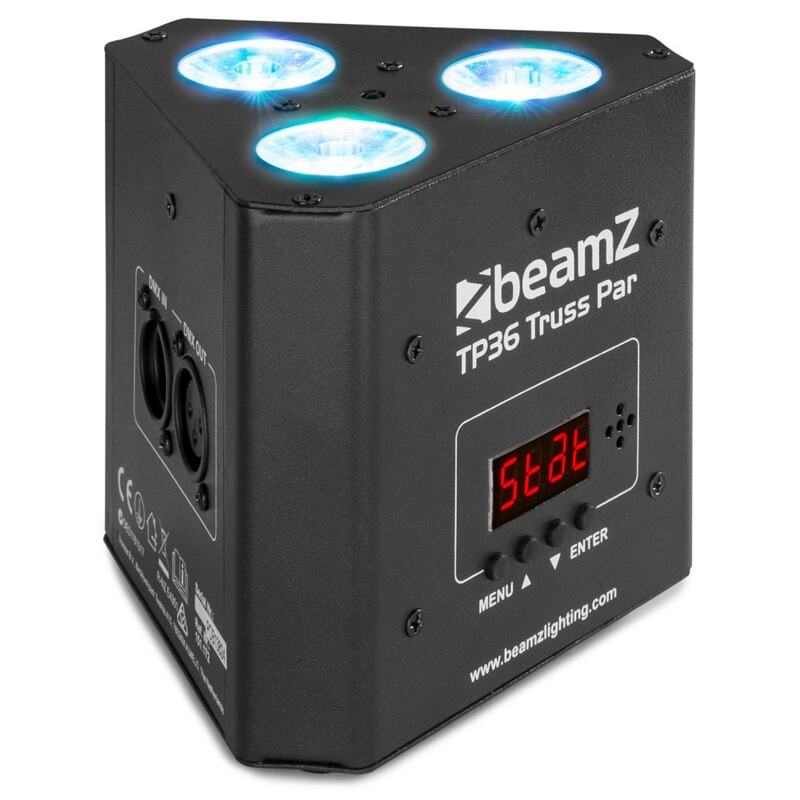 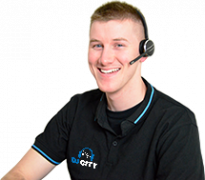 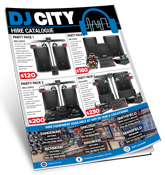 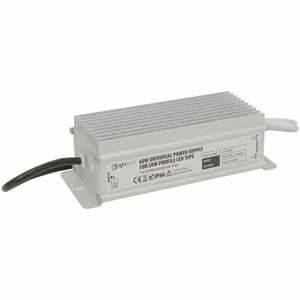 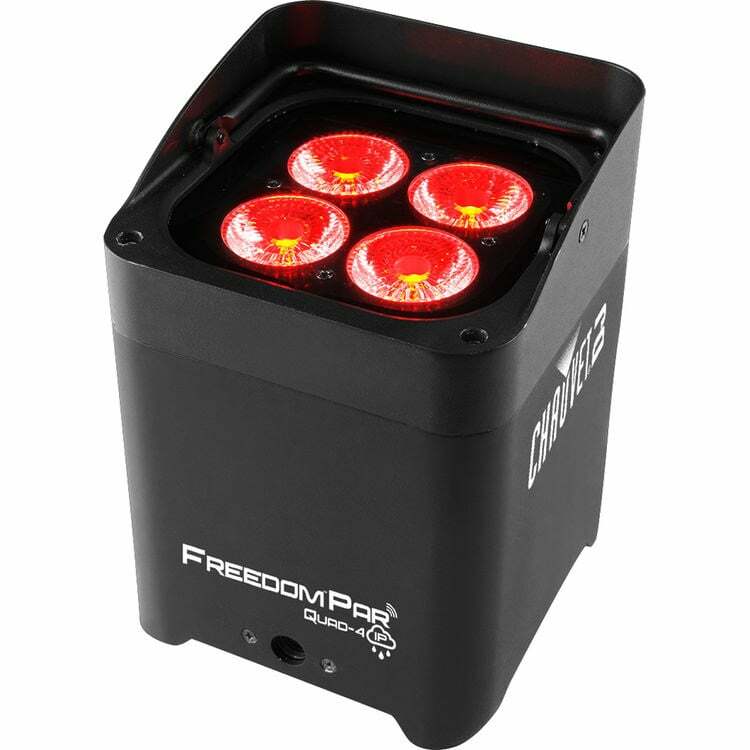 Featuring 3x 4-in-1 super bright 4W LEDs with RGB+UV colour mixing capabilities. 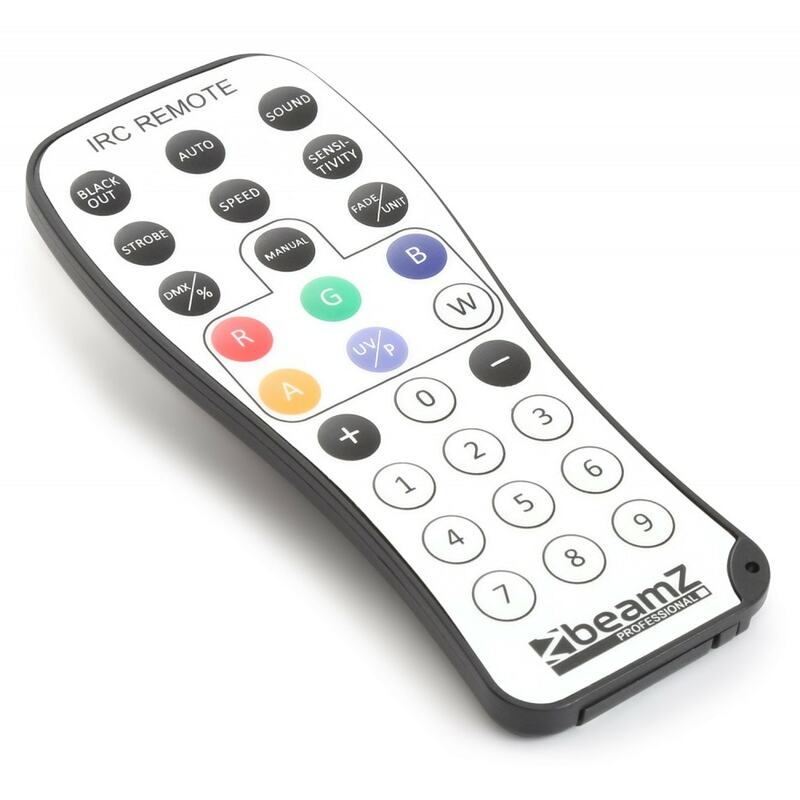 Included is a remote control.